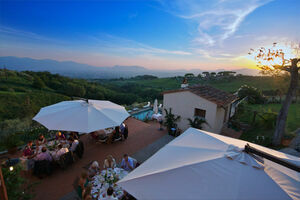 This category encompasses local hotels, vineyards and B&B's that have a restaurant as well as accommodation on site. 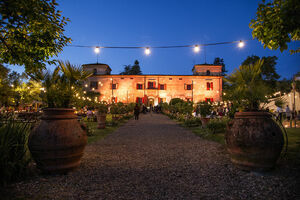 These are often extremely panoramic venues situated amongst olive groves and grapevines that allow the natural beauty of their surroundings to speak for themselves. They are a great solution for those looking to have a relaxed, fun wedding where they can dance the night away and then easily retreat to the quiet of their rooms. Ceremony Type: Blessing, 5 KM from town hall where civil ceremony can be performed. 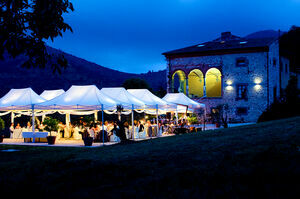 Ceremony Type: Blessing or next door there is villa that holds legal decree for outdoor civil ceremony.